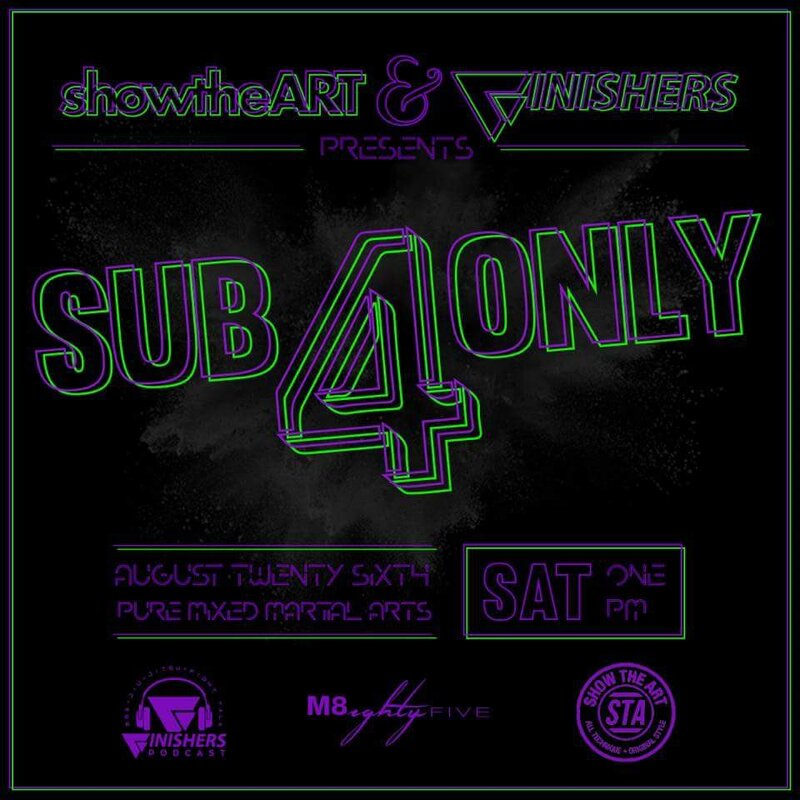 The Show the Art Finishers Sub Only returns to Pure MMA in Rockaway, New Jersey for its fourth event, August 26, beginning at 12:15 PM. 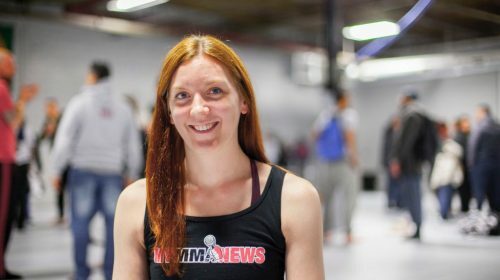 Past events have featured 135, 145, 155, and 170 pound men’s divisions, but this event is debuting two new divisions with a men’s absolute and a women’s 150 pound division. The winner of each division will be taking home $2,000 in prize money. The competitors with the fastest submission and the best non-leglock submission will each bring home $250, and other prizes are available from event sponsors such as 93 Brand, Lanky Fight Gear, Death Set Apparel, Rainha Fightwear, Vape Bright, Show the Art, Rolsom Brand, Phalanx, Checkmate Fightwear, M85, Grapple Apparel and more. Much like the original EBI format, the event will also feature teen super fight matches, including a super fight between Grace Gundrum, 4 time EBI super fight winner, and Jasmine Johnson, another EBI veteran. The event will be livestreamed on the Show the Art youtube page, where you can also check out replays of the past three events. Tickets to attend the event are $10 at the door. Check out the full line up of competitors below. With the Eddie Bravo Invitational rapidly gaining popularity among jiu jitsu fans, submission only EBI rule tournaments have been popping up all over the place. Sapateiro, Ultimate Mat Warriors, the Radius Invitational, Global Grappling League, and the Onnit Invitational are just some of the EBI rule events that have emerged on the scene recently. The Show the Art Finishers Sub Only was the first of their kind, with their inaugural event back in November of 2015, shortly after EBI 4. 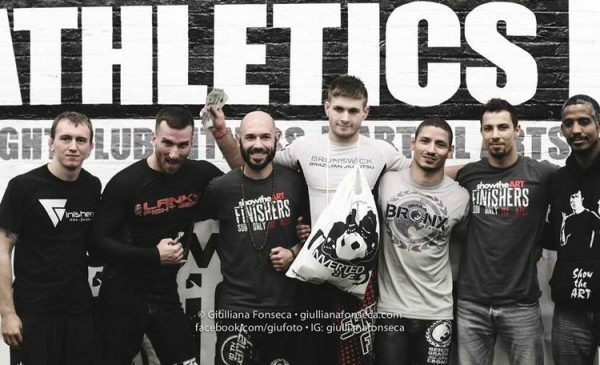 The winners of the first Finishers Show the Art Sub Only, Mike Davila at 155 and Gordon Ryan at 170 (pictured above), have both gone on to compete in EBI events and Gordon is now a top name in submission only jiu jitsu after acquiring three EBI belts. For more information on the Finishers Sub Only, visit finishersjiujitsu.com, or follow them on Instagram and Facebook. If you love the idea of competing under EBI rules but are just starting your jiu jitsu journey, Finishers Enterprises also plans on bringing EBI rules competition to practitioners at all levels with the creation of the Finishers Open. Follow them on Instagram for updates. Pure MMA is located at 41 Pine St #12, Rockaway, NJ 07866.